George Farquhar was born in Derry-Londonderry, in the North of Ireland, in 1677. His father was a Church of Ireland minister, and, according to legend, young George fought for King William at the Battle of the Boyne, was inside the walls during the Siege of Derry, and had his childhood home burned down by Catholic rebels. This may explain his unflinching Loyalist political beliefs, and the frequently offensive portraits of Irish Catholics (and Catholics in general) in his plays. Although narrow-gauge Nationalists might find some of his views distasteful, Farquhar was a brilliant and important playwright, the author of important classics of the English and Irish stages. He began his theatrical career while still a student at Trinity College Dublin; he worked as an actor at Dublin’s Smock Alley Theatre, but, after accidentally stabbing a fellow actor during a performance, he turned to playwriting. He emigrated to London, arriving in the English capital with his first (and most Irish) play, Love and a Bottle (1698), in his suitcase. Love and a Bottle was mildly successful, but his second play, The Constant Couple (1699), took London by storm. After a few flops, a marriage plagued by financial and interpersonal difficulties, and a stint as a recruiter in the British Army, Farquhar scored huge triumphs with his last two plays, The Recruiting Officer (1706) and The Beaux Stratagem (1707), the latter of which was written while he was dying. 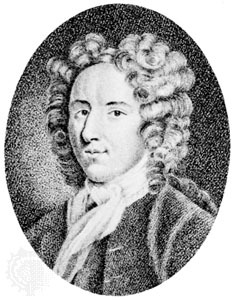 For more on this playwright from an Irish Studies perspective, see my article "Why Did George Farquhar’s Work Turn Sectarian After The Constant Couple?" from Studies: An Irish Quarterly Review.